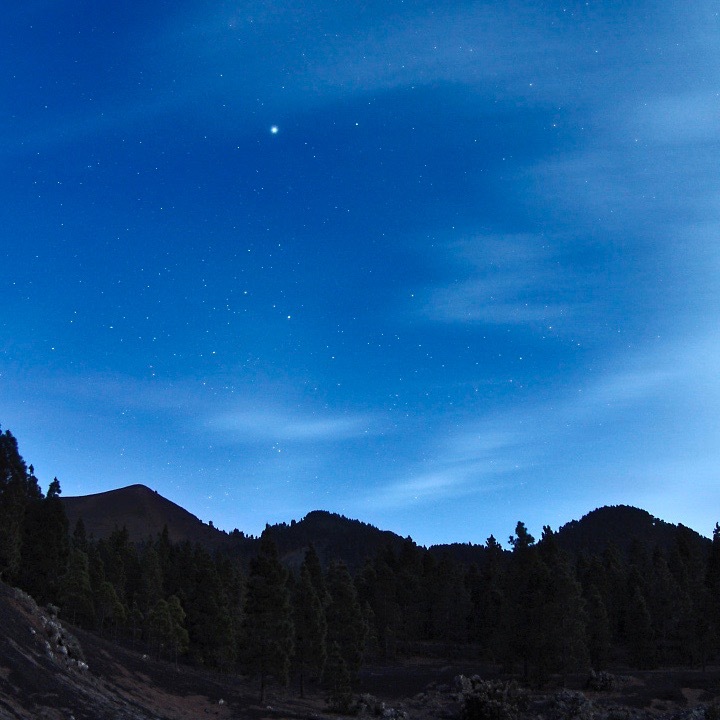 Dog Star Sirius reaches its highest point in the sky around midnight every New Year’s Eve. For this reason, it might also be called the New Year’s star. Brightest star Sirius at culmination, or highest in the sky, via Project Nightflight. Note that “highest in the sky” doesn’t necessarily means “overhead.” Sirius’ height in your sky will depend on your latitude. Want to surprise and impress your friends on New Year’s Eve? Show them Sirius, the brightest star in the sky, sometimes called the Dog Star because it’s part of the constellation Canis Major the Greater Dog. 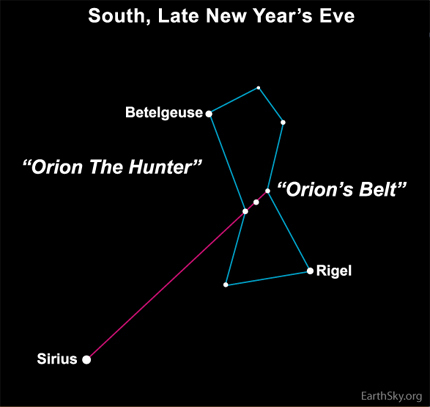 Sirius might also be called the New Year’s star. It’ll celebrate the birth of 2019 and every new year by reaching its highest point in the sky around the stroke of midnight. That’s the case this year, and every year. How can you find Sirius? It’s easy because this star is the brightest one we see from Earth. Its name means sparkling or scorching. If you look for the sky’s brightest star, and are still not sure, here’s a sure-fire way to identify it. 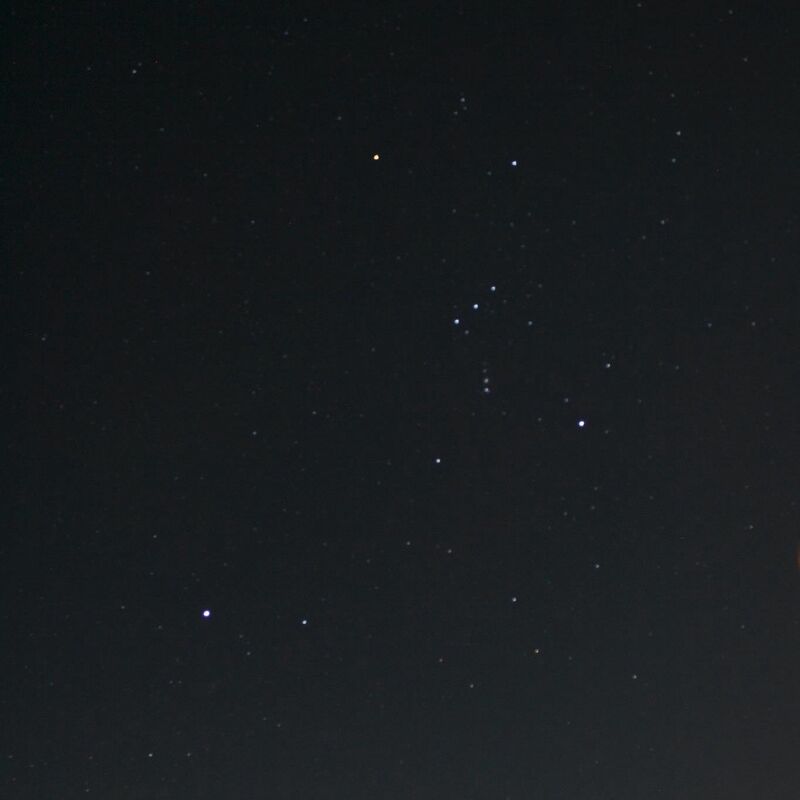 Just look for the prominent Belt stars of the constellation Orion. 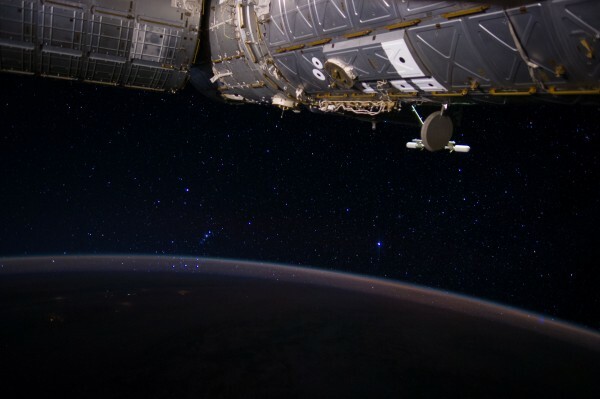 Orion’s Belt always points to Sirius. 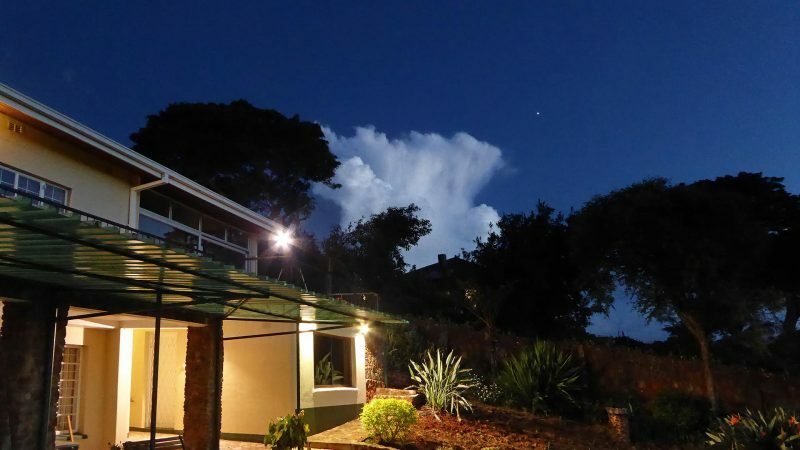 Brightest star Sirius at dusk on December 27, 2018, via Peter Lowenstein in Mutare, Zimbabwe. Around New Year’s, the star can be found in the eastern half of the sky in the evening, highest around midnight, and in the western half of the sky between midnight and dawn. You can always recognize Sirius, because the 3 noticeable stars in Orion’s Belt point to it. This photo comes from EarthSky Facebook friend Susan Jensen in Odessa, Washington. 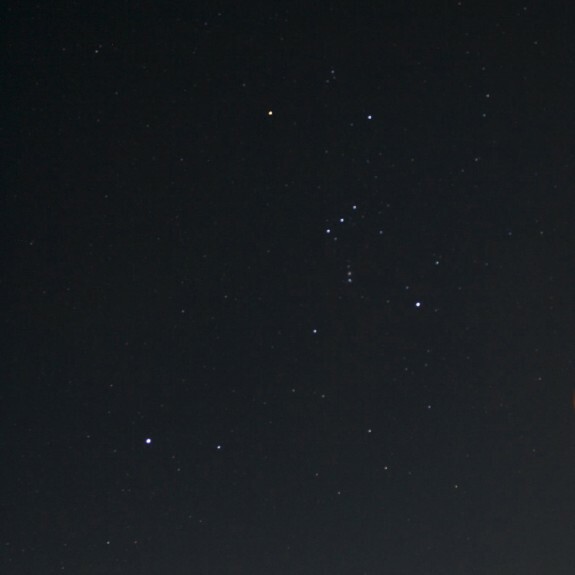 See how it matches the chart above, with the 3 stars of Orion’s Belt pointing to Sirius? So Sirius is highest in the sky at midnight every New Year’s. Astronomers call this a midnight culmination of Sirius. As the New Year rings in, Sirius is at its highest. By midnight, by the way, we mean the middle of the night – midway between sunset and sunrise. Like the sun, the stars rise in the east and travel westward across the sky. When the sun or any star is in the eastern half of the sky, it’s climbing upward. When the sun or any star is in the western sky, it’s descending downward. Midway between rising and setting, the sun or any star reaches its highest point in the sky. Because the stars rise and set two hours earlier with each passing month, Sirius will be highest up for the night around 10 p.m. local time on February 1. Sirius from space. It’s the brightest star in this image, the bluish one, to the right in the photo. The 3 Belt stars of Orion – buried in the haze along Earth’s horizon – are still pointing to it. Bottom line: Look for the star Sirius at midnight culmination – highest in the sky around midnight, or midway between sunset and sunrise – every New Year’s Eve.